Even better when I discover it’s UK based! That’s what happened when I came across the Instagram of Toffee Bananas! Obviously I had to put in an order straight away! I was drawn in initially by the kits as they’re beautiful. I was happy to discover that they were available to purchase separately. This meant that I could buy a couple of sheets from each kit. As I use a Hobonichi Cousin, traditional weekly kits don’t work in it, but I was able to just purchase the washi and half box sheets that I was confident I could get to work. Flora is absolutely my favourite. I love the bright pinks here. Cuddles is a little more feminine than I would normally go for, but I loved the design on the washi strips and basically bought the kit for that. While not perfect, I did manage to make these sheets work in my Hobonichi quite nicely. I cut down some of the plain boxes and the date covers, and I like how it turned out. This week! I bought some kits sheets from @toffeebananas to use in my Hobo. Just the sheets with washi, date covers and boxes. It *mostly* works and I absolutely love the colours in this kit. All shops are tagged! My only regret is that I only bought one washi sheet but have loads of boxes from the half box sheet left over. When I purchase again, I’ll probably buy at least two washi sheets for every half box sheet. While buying the kits I picked up a few extra functional sheets. I seem to have a thing for balloon stickers. I now have quite a collection and barely use them! Pretty much everything I bought was pastels and pinks. If you love both of those things this is definitely the shop for you! If you love generous freebies too, then this is absolutely the place to go. I received three extra sheets with my order! While the other stickers are probably a little too large to consistently use in my Hobonichi, I really love the kits and will be keeping at eye out for any new releases. The quality of the sticker paper is lovely – a nice thick paper. The cuts were all perfect and I was overall really impressed with my order. 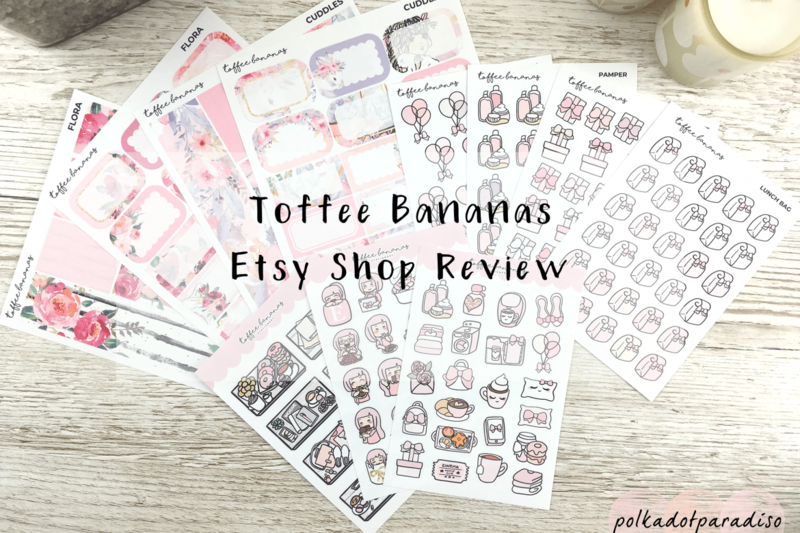 I think the shop is in the Planner Boss Collective sale this weekend so I may have to have a little look and pick up a few more kits (and more washi sheets) on sale!